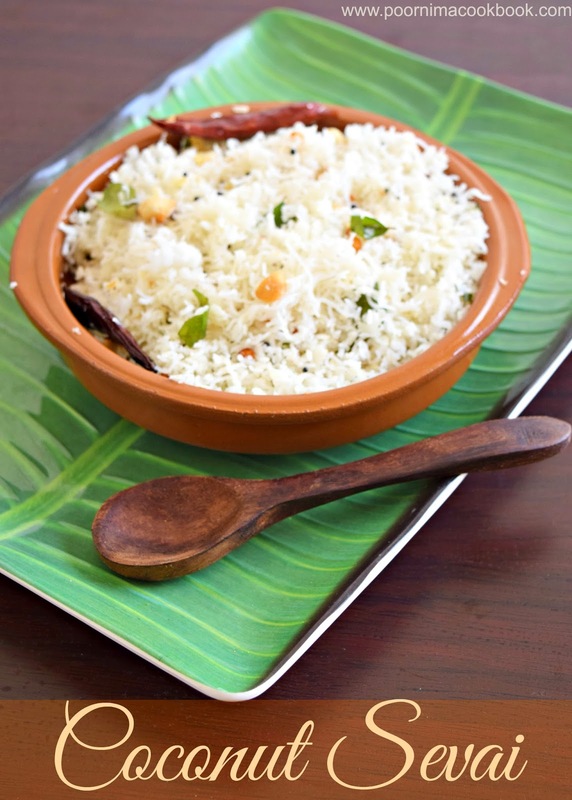 Coconut Sevai is a perfect variation for coconut rice; an 'easy to prepare' tiffin variety that is popular among south Indians. Leftover plain Idiyppam / string hoppers at our house, is always converted as Coconut Sevai! 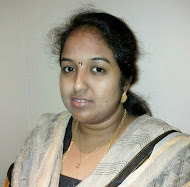 Isn't this photo looking very cute! Heat oil in a pan, season with all the ingredients one by one. 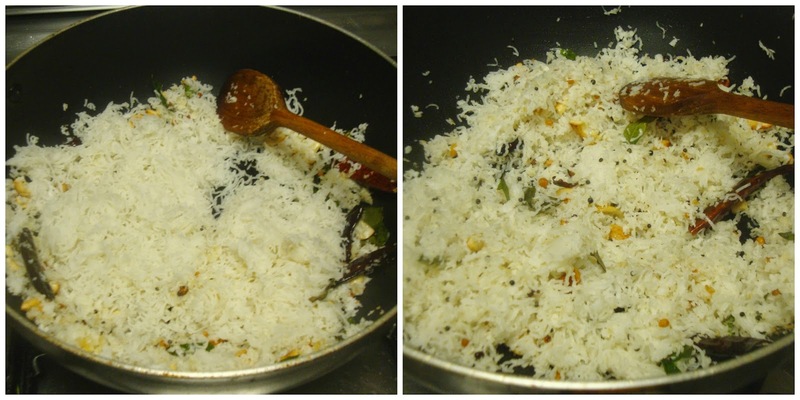 Once it crackles and also the dhal & nuts turned into golden brown; add grated coconut. Sauté for a minute and reduce the flame. 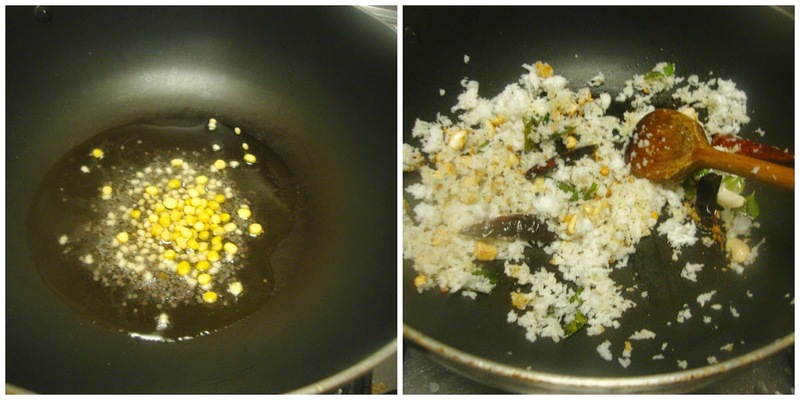 Add scrambled idiyappam and mix well; switch off the gas. 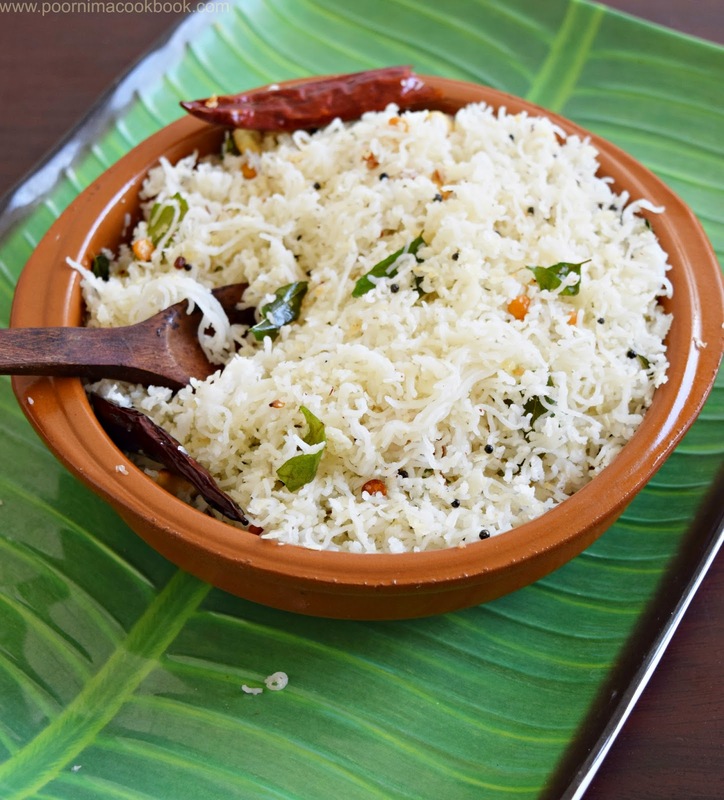 Delicious coconut sevai is ready to serve now! Instead of red chillies you can also add green chillies. 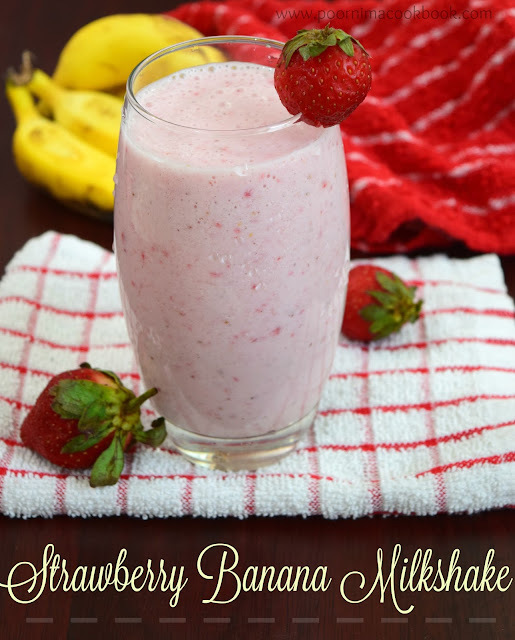 You can add roasted peanuts for extra crunchiness. 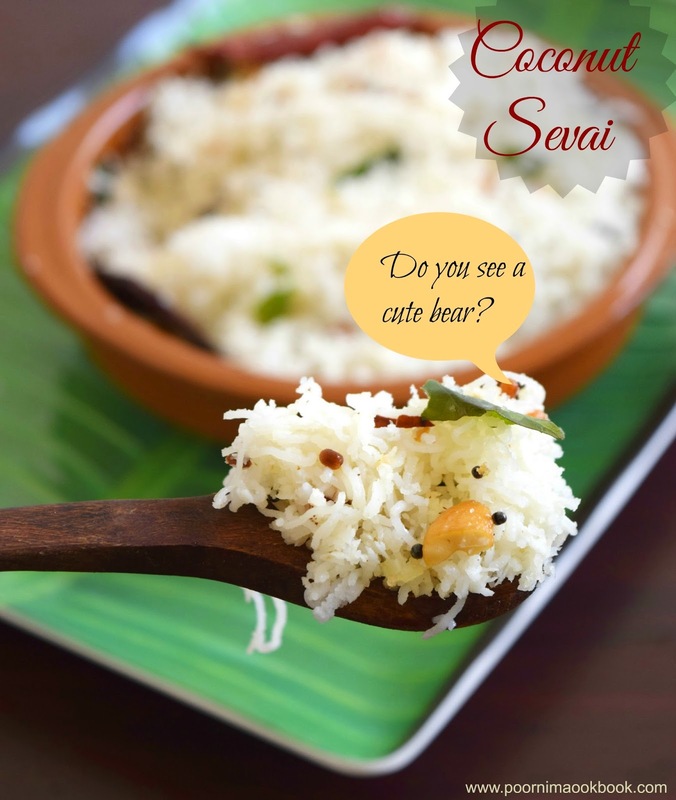 Comforting sevai, I do see the cute teddy, let me eat from the bowl and spare the bear!